Boston City Councilor Josh Zakim on the campaign trail. JUNE 7, 2018 – Secretary of State Bill Galvin found out June 2 that reaching his seventh term will be no easy ride. 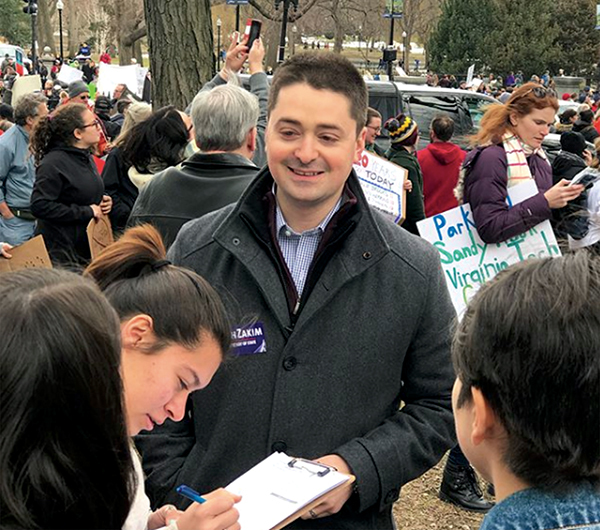 Boston City Councilor Josh Zakim got 55 percent of the vote at the Democratic State Convention in Worcester, and has the backing of Boston Mayor Marty Walsh heading into the primary on Sept. 4. Zakim, 34, the son of the late Anti-Defamation League leader Lenny Zakim, saw something he didn’t like in state politics and decided to do something about it. The Center for American Progress, a think tank based in Washington, did a study last year that assigned each state a grade for its election security. According to the study, one of Massachusetts’s problems is that the decision to escalate post-election audits, which examine flaws in voting systems, is left up to the discretion of the secretary of state, who for the past 23 years has been Galvin. Zakim was motivated to run for the office while chairing the Civil Rights Commission on the Boston City Council, where he has represented the Eighth District for the past five years. Zakim began to wonder why the system in Massachusetts, which is run by the Secretary of State’s office, is still so antiquated and inefficient. 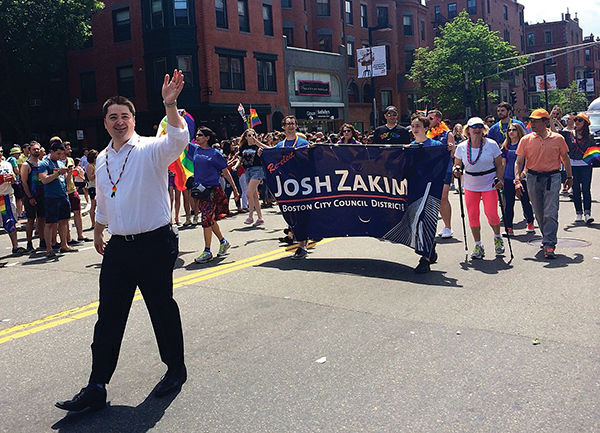 Josh Zakim marches in the Boston Pride Parade. The Secretary of State is responsible for overseeing elections, ensuring election security, regulating corporations, and supervising public records. On all of these fronts, Zakim wants a major upgrade.  His major push is to increase access to voting, which he said is important in a state where 700,000 eligible voters – more than 10 percent of the total population – are not registered, and voter turnout has dropped 30 percent in the past 20 years. If elected, he plans to work to do away with the requirement that voters be registered 20 days before elections, and instead implement election day registration. He wants to commission a study on the feasibility of weekend voting, which he supports, and eliminate restrictive rules on early and absentee voting. He also wants to make public records accessible and low-cost by putting them online. In 2015, the Center for Public Integrity, an investigative journalism nonprofit, gave Massachusetts an F in public access to information. Zakim’s passion for fairness and inclusion can be traced to his father, who was a tireless advocate for civil rights and interfaith understanding. The Leonard P. Zakim Bunker Hill Memorial Bridge was named for him. Zakim grew up in Newton, and celebrated his bar mitzvah at Temple Emanuel. He attended the University of Pennsylvania, and received his law degree from Northeastern Law School. After law school, he worked as a civil rights attorney for Greater Boston Legal Services, and then as a public finance attorney at Mintz Levin. In 2013, he ran successfully to represent Boston’s Eighth District, which includes Back Bay, Beacon Hill, and the Fenway/Kenmore sections. As a city councilor, he’s chaired the Committee on Civil Rights, authored the Boston Trust Act that made Boston a sanctuary city, and fought for the rights of the many students and renters who live in his district. Zakim’s candidacy has been endorsed by Steve Grossman, who was state treasurer from 2011 to 2015 and is the former chairman of the Democratic National Committee. A close friend of his father’s, Grossman has known Josh Zakim since he was a child.